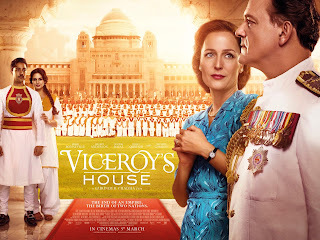 Gurinder Chadha’s VICEROY’S HOUSE will be released in UK cinemas on 3rd March 2017. The film tells the true story of the final months of British rule in India and its release will coincide with the 70th Anniversary of the Independence of India and the founding of Pakistan. VICEROY'S HOUSE is a film that is both epic and intimate, with an inspirational message that celebrates tolerance. Many of the events depicted are either unknown or forgotten, but all have strong contemporary relevance in terms of lessons to be learnt concerning the politics of division and fear, the origins of religious extremism, and our moral responsibility towards migrants fleeing violence for a better life. VICEROY’S HOUSE is directed by Gurinder Chadha (Bend it like Beckham) with a screenplay by Gurinder Chadha, Paul Mayeda Berges and Moira Buffini, and is produced by Deepak Nayar (Bend it like Beckham, The End of Violence, Buena Vista Social Club), Gurinder Chadha and Paul Mayeda Berges. The film is executive produced by Pathé’s Cameron McCracken, Reliance’s Shibasish Sarkar, BBC Films' Christine Langan, the BFI’s Natascha Wharton and Ingenious Media’s Tim O’Shea.